Experts think the total solar eclipse on August 21 may become the most-viewed event in human history. Record numbers of people are expected to photograph, share, and watch live video feeds of the eclipse online. However, telecommunications companies and live-streaming video hosts say they’re prepared for the crush of internet traffic. 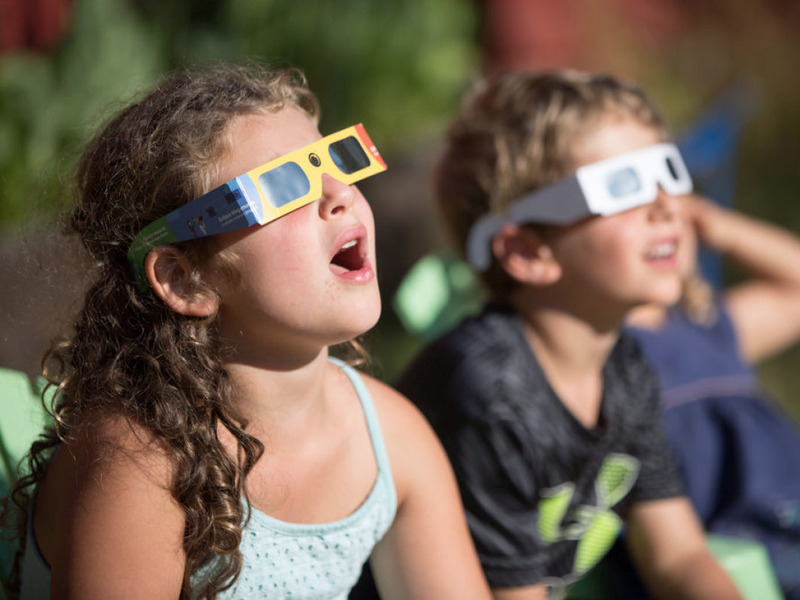 The total solar eclipse on August 21 may be a record-breaking event on the internet, and telecommunications and social media companies are digging in for the challenge. For about two hours on Monday, weather permitting, the entire US should see the moon slide in front of the sun. 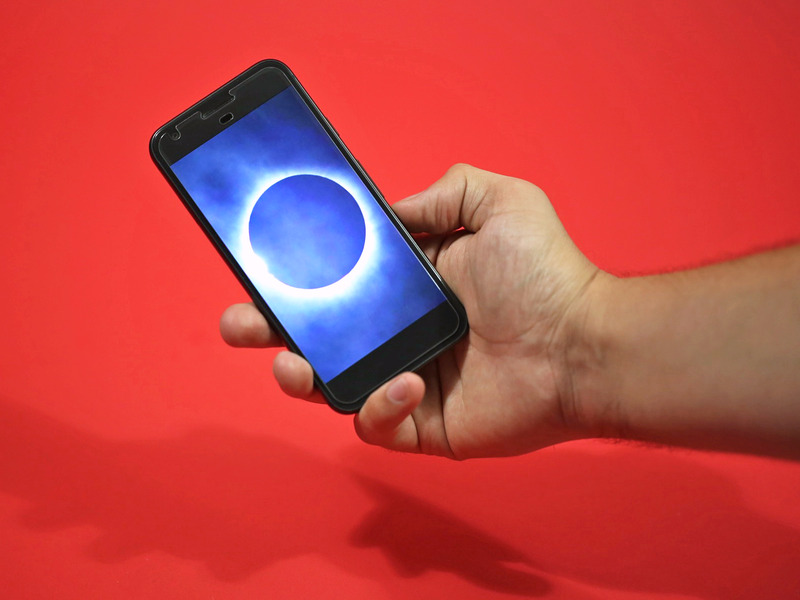 The last solar eclipse to slice across the entire continent happened 99 years ago; unlike that event, this eclipse will occur in an era of record internet usage — one in which 95% of American adults own a mobile phone. “This will be the most photographed, most shared, most tweeted event in human history,” Tyler Nordgren, an astronomer at the University of Redlands, recently told writer Rebecca Boyle for a story at The Atlantic. Most of America won’t be in the path of totality — the places where an ultra-dark lunar shadow will be visible. 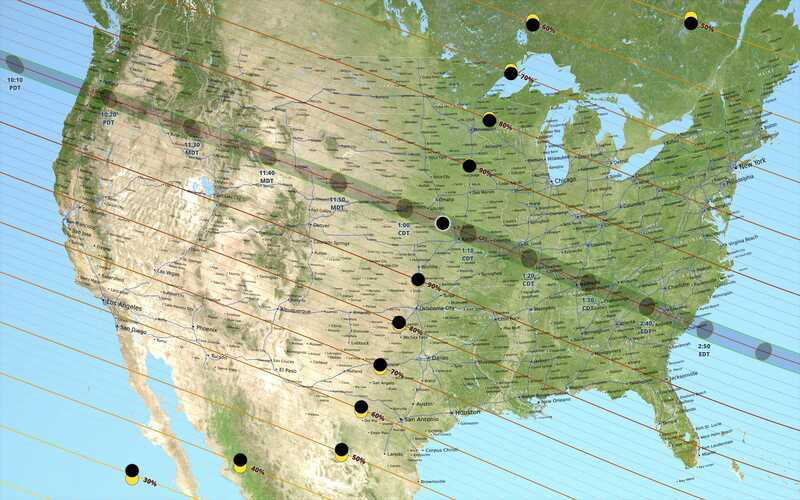 So instead of travelling to that path (or booking a jet ride over it), hundreds of millions of people in the US will turn to live video feeds of the eclipse to watch totality unfold. Which begs the question: Will the internet buckle under eclipse fever? But many of these companies emphasised that Monday won’t be a normal day on the internet by any comparison. “We don’t know exactly how much data we’ll see cross our network, but we’re sure it will set records,” a spokesperson for AT&T said in an email. Still, it’s extremely unlikely your internet will stop working on eclipse day. Whether you’re sharing and watching from your phone or desktop computer, a vast majority of the country shouldn’t experience any hiccups. That’s because providers build their networks to handle traffic far beyond what is considered normal. NASA’s Scientific Visualisation StudioA US map of the total solar eclipse’s shadow on August 21, 2017. In particular, mobile carriers can electronically divert or “dimension” network resources from central command centres to serve areas with spiking demand. “To handle our busiest days, we’ve actually dimensioned our network to carry 2.5 times the rolling monthly average,” Dave Saska, AT&T’s vice president for radio access, told Business Insider. Saska also said the company deploys mobile towers to about 200 large events a year, such as concerts and sports games, to buttress its network coverage. But he said such efforts are more difficult for the solar eclipse, since small towns in the path of totality will be flooded with visitors — and an intense demand for cellular and mobile data service. Michael Zeiler, a mapping expert and eclipse chaser who works for Esri, told Business Insider that as many as 7.4 million people may migrate to the path of totality. AT&TA cell-on-wheels truck, or COW. 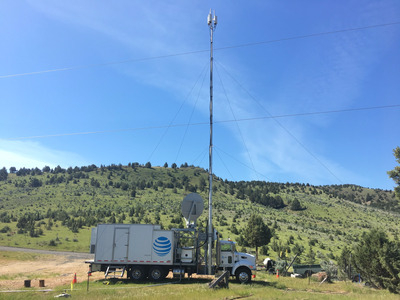 To handle the demand, AT&T dispatched a special team to scout out the biggest viewing locations and determine places where mobile towers — called cell-on-wheels or COW trucks — should be rolled in. In some prime viewing destinations, such as Hopkinsville, Kentucky, AT&T plans to amp up network capacity by 300%. Representatives from Sprint, Verizon Wireless, and T-Mobile also told Business Insider that their companies plan to deploy COWs to popular viewing locations. “We think we are in great shape, but it is rare that hundreds of millions of people across the country could watch a single event and start sharing their pictures all at once,” T-Mobile said in a statement. Saska did not seem concerned about the idea that the company’s network could be crushed by online eclipse watchers. Popular social media sites like that host live video feeds, however, may have more of an issue if record numbers crush their servers. Representatives for YouTube and Facebook Live, which are now two of the largest live-video providers, declined to share data with Business Insider about their expected audiences on eclipse day. Facebook Live is still relatively new to the streaming-video scene, yet claims its live-video watch time has grown four-fold in the past year. For this platform, the record-setting event to beat is its New Year’s Eve and Day spike. A Facebook spokesperson who asked not to be named said the social network will be closely watching live-streaming activity. “We’re interested to see what happens with the eclipse, as this is a global event,” she said.